Strategies and methods derived from management theory, philosophy and engineering can be used to create our next generation of world record holders. Coe, Morceli, Gebrselassie. These are giants, familiar to every track coach and fan. They led middle and long distance running through frontiers that "experts" once assured us were impassable. But there are virtually unknown titans notching up even more unlikely accomplishments along the frontiers of current human achievement. To many, the most improbable thing about these events are how they are coming about. Great ideas and works are being created by specialists in one field crossing over into seemingly unrelated disciplines. No area of science, technology or the arts has been immune to this cross-pollination. Examples are everywhere. A solid-state physicist, curious about the brain, sat in at a neuroscience seminar at M.I.T. The result was a revolutionary approach to neural nets and a giant step towards artificial intelligence. Literary scholars in England, trying to reconstruct the original version of Chaucer's Canterbury Tales were stymied. Then a biologist solved their problem using the computer program created to untangle the human genome. Even centuries old, and seemingly irrefutable, legal rules of evidence are falling before the sword of lawyers wielding complex new mathematical theories. Can we even trust our own senses anymore when we are con- fronted by comets, twisters, dinosaurs and dead presidents, all performing on cue? It's time we coaches take the hint and start doing a little more cross-pollination of our own. When Alice encounters the Cheshire Cat in Wonderland and asks for directions, her situation is like that facing the athlete. To reach any objective, the first requirement is to know what the objective is. The athlete who trains conscientiously will almost surely improve-that is-he or she will get somewhere. Great performances like a world record or Olympic championship, however, require a clearer and more precisely defined objective. Management is the skillful use of time, resource and materials to achieve a purpose, according to the Oxford Dictionary of English. Good management techniques increase the probability of achieving any objective or goal in any field of endeavor . Preparing athletes for the modern competitive arena has become, first and foremost, a management problem. "Management By Objectives" (MBO) is a business management theory first developed by Peter Drucker. An academic discussion of just about any subject is likely to drown the unbaptized in a sea of jargon. But reduce MBO to the bare essentials and it usually elicits a, "Well of course, everybody knows that. It's just common sense." MBO, like most great concepts, is a simple and elegant idea. MBO theory rests in part on two premises. The first is that without a specific, quantifiable goal and time- table, you have no way to measure and evaluate progress. The second is that the process of establishing clear, concise and shared goals can itself often provide a road map to reach them. Incorporate these two simple but potent concepts into a plan covering every aspect of the athlete's performance and career and you have a problem solving approach that is just as useful to the coach as to the CEO. Add appropriate analytical methods from philosophy and engineering and you have a powerful tool for creating our next generation of record holders. World records and Olympic champions are never accidental. They are the result of doing the right work in the right amount at the right time and seizing the opportunity when the right circumstances occur. But before the records, before the medals and anthems, even before the right work, there must be the right goal. Setting the right goal is the first step in every great achievement. The old adage, "If it ain't broke, don't fix it" is sound advice-99% of the time. The catch is that in trying to reach the apex of athletic achievement, past success poses a present and subtle danger to those preparing the next generation of performers. This happens in two ways. First, there is the fact that the more successful a coach has been in the past, the greater the temptation to rely on exactly the same methods and workouts in the future. The result will eventually be marginal improvement at best and stagnation at worst. Secondly, training based solely on current methods and records tends to limit what we think is possible. Limit the mind, shrink the future. These are not optimal paths to new world records. Occam's Razor (William of Occam, 1285-1349) is a rule in philosophy and science that states that the simplest of two or more correct answers or theories is the preferred one and that the explanation of an unknown phenomenon should first be attempted in terms of what is already known. Most coaches base the pursuit of new levels of performance on existing methods and achievements rather than what is known about the nature of the performer and performing. This is a violation of Occam's Razor. Moore also observed that Bowerman was an inveterate tinkerer. Two of the foundation stones upon which the "Oregon System" was built were Bowerman's boundless curiosity and his goal-setting process. The basis of every athlete's training program was a rational and achievable short- and long-term goal. Coach and athlete worked together to establish these goals, a collaboration that resulted in a shared commitment to success. But once appropriate goals were established, even his own tried and true training plans were subject to constant review and "experiments of one" to find the best training plan for each individual. Bill Bowerman ex- celled at guiding athletes towards appropriate and challenging goals and in applying the underlying principles responsible for success in simple, innovative ways. A perfect example of Occam's Razor. And by not simply repeating the past, Bowerman expanded the future. Just as Einstein stood on the shoulders of Newton and Newton upon the shoulders of earlier giants, we coaches also stand upon the work of our predecessors. It is, after all, the "crazy" new ideas that worked that have established the basic principles of training that we rely on today. Yet many of us, when preparing training plans, make the fundamental error of mistaking method for principle. While many training methods can rightly be dismissed as obsolete or mere fashion, we ignore, at our athlete's cost, the principles underlying the successes of the great innovators. As each new world record holder or Olympic champion arrives on the scene, there is the inevitable rush to duplicate the workouts or diet or whatever it is that is perceived to be the secret of the new top gun. We forget to ask the "why" questions. And in our haste to adopt the "new technology," we even neglect to ex- tract and apply essential principles from the "old." It seems that once an athlete no longer holds the record or is the current champion, the foundations his or her success rested upon are quickly forgotten. To quote a very pretty woman, Julia Roberts, "Big mistake. Big. Huge!" Few would dispute that Sebastian Coe is one of the greatest middle distance runners of all time. From his first step to his last, in a career spanning 21 years, he had one coach. That his coach was a rank novice with no coaching experience or related athletic or academic background what- ever surprised many. But, while Seb's coach (and father) Peter Coe may initially have been unencumbered with knowledge of sport and physiology, he was in fact superbly equipped to plan the training and career of the future multiple world record holder and Olympic champion. He was a practicing engineer and manager . When Peter Coe began seeking information to help 12-year Sebastian with his running, he became more and more perplexed. Advice received from one successful coach was, more often than not, at complete odds with that from other equally successful coaches. Peter's solution was to reinvent the wheel. Like any competent engineer, Peter started with a clean sheet of paper. He began by identifying the nature and scope of the problems of running very fast and winning. He asked fundamental questions. Then he applied the analytical and problem-solving techniques gained from a long and successful career as a professional engineer and production manager. In the end, he arrived at some rather startling conclusions. It seemed to Peter Coe that a lot of people were doing a lot of things wrong. It is fortunate for the running world that he had the conviction of his beliefs. 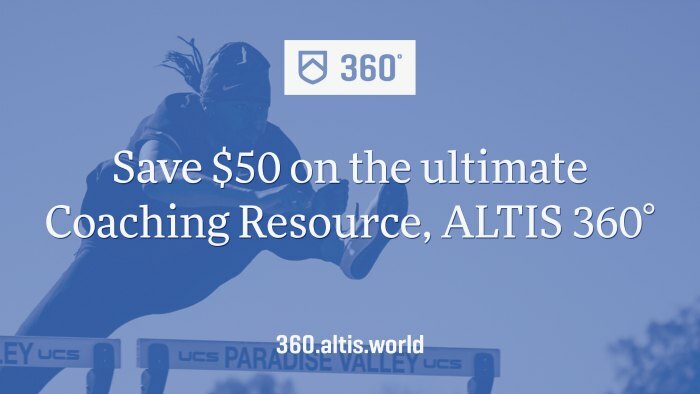 The career of his "product" showed what is possible when one is free of preconceived ideas about "the correct way to train" and what the "limits" of human performance are. In common with Bill Bowerman, Peter Coe applied innovative solutions to reach a horizon unimagined by his peers. By always aiming at the future, these two coaches stretched our vision of the possible. As a Division I NCAA track and field coach, Bill Bowerman had the task of managing not only the individual collegiate careers of his athletes but the fortunes of a team as well. Peter Coe, operating in a radically different competitive structure in Great Britain and Europe, had only the progress of a single runner to be concerned with. Yet similarities abound in their approach to preparing athletes to run fast and to win. Both had a comprehensive approach to developing and managing the careers of the athletes in their charge. And both relied on the principle of selecting the appropriate goal as the basis of their annual and career training plans. Bowerman presented a combination of curiosity, expertise, insight and just plain eccentric and unfettered thinking that few coaches have ever, or will ever achieve. The very uniqueness of the personality and mind of the man discourages many from any attempt to transplant his ideas. But a careful and thoughtful study of his work yields rich rewards. Listen to Bowerman and you got a late Mozart piano concerto. Hear a hundred performances and you' II still learn something new on the hundred and first. Continuing with the Mozart analogy, Coe's approach at first appears complex and intricate. It is, in fact, a marvelously simple and elegant solution to a complex problem. In short, another perfect example of Occam's Razor-the simplest answer is the best answer . While every bit as forceful and charismatic a personality as Bowerman, Peter Coe devised a method with a cold logic about it that can at first seem intimidating to those of us who are "mathematically challenged." The power of his solution, how- ever, is demonstrated by one simple fact. By the time Sebastian had reached 14, Peter was certain that he was very talented. By age 16, Peter felt a world record was in the cards and had established annual and career goals and fine-tuned a training and competition plan covering the period up to and including the 1980 Olympic Games. This plan proved to be so well conceived and flexible that it required only minimal adjustment over the next 17 years as Seb's career advanced inexorably toward world records and Olympic medals. what rate of improvement was necessary to reach the goal on time. The first task was accomplished by making a simple statistical analysis of the all-time top performers in each Olympic middle and long distance event. In this way Peter established the average age at which top athletes achieved their best performance. By subtracting Seb's then current age from this average age, Peter had an approximate but logical time frame on which to base a career plan. Figuring out the second task, i.e., how fast would Seb have to run to be the best, seems at first to be the most daunting. Creating an absolutely accurate prediction of the progress of world records is obviously not possible. The crystal balls of even the most respected seers are notorious for fogging up in the crunch. But here again Peter's engineering management and analytical skills served him well. Applying well established and proven methods of predictive analysis, he formulated a projection of what the world records would be and when. Peter reasoned that total accuracy was not necessary so long as confidence was high. The final design parameter for Peter's general plan was to establish the rate of progress Seb would have to achieve each year as he approached his most likely optimal performance age. This he did by constructing a weighted per-year time reduction goal, a series of annual goals on a direct path to the ultimate goal. In the end, the accuracy of these projections was such that virtually all of them were achieved by Sebastian right on schedule. Peter's numbers proved sufficient to get the job done. In the 1960's, Australian coach Percy Cerruty's predictions of future performances were dismissed by many as the full moon howling of a nut case. At a time when only a dozen or so men had ever run under four minutes for the mile even once, he was predicting that someone would run under eight minutes for the two- mile. Old Perc was obviously insane- but don't tell Daniel Komen. In competitive running, we keep score in two ways--records and winning. Of these two, winning is the most difficult and more rewarding way. To win consistently, the athlete/coach team must wring out every gram of courage and talent in every competition. The best and most satisfying efforts come from hard fought, one-on-one confrontations. Without the added edge of competition, records can sometimes seem contrived, or at least controlled, and not necessarily a demonstration of all the athlete is capable of. Besides, records usually come to those who prepare to race without limits. It is both naive and fatuous to think that all a coach has to do is make out a paper master plan and then simply set the athlete on the path. There is no place in the art of creating great performers for the mere puppet master, even one with an in- finitely talented puppet. It requires constant and unrelenting recommitment and courage from the very deepest levels of self if one is to touch the outer edges of human possibility. And by definition, Olympic and world record success will always be limited to a tiny fraction of even the most uniquely gifted and obsessive segment of the population. It is worth noting that where responsibility for developing new talent is in the hands of a powerful, well funded federation or state, the result is usually a numbers based program with just enough medal winning consistency to insure that the current powers that be keep their jobs. But what they seldom, if ever, produce is the astonishing brilliance of a Herb Elliott, Abebe Bikila or Coe, Morceli or Gebrselassie. In any large, centrally controlled organization, it is extremely embarrassing or politically impossible to eliminate inefficient members. It is hard to be noticed, so it is very difficult to do something that is demonstratively right. It therefore becomes critical to the coach's (or administrator's) career that he/she never do anything that is demonstratively wrong. Fools may not be fired but they are rarely promoted either. To downgrade a subordinate seems to imply that one didn't know what one was doing when one promoted the person in the first place. Best to leave them alone and hope that nobody notices. It takes something fairly obvious, a complete failure of a team at the Olympics or an athlete's revolt, for example, to get anything changed. Things generally just go on as usual. This results in the same fools making the same mistakes forever. People become demoralized, especially the best, most talented ones. Useful work slows or even comes to a halt. That doesn't mean that they stop working. They are all furiously active, looking busy. They worry all day long and go home tired. But they are not doing anything useful. Poor managers are sometimes given "lateral promotions" but they are seldom removed. One of the advantages of having a weak or ineffectual federation is that the individual coach/athlete team can do astounding things without the matter becoming political. And that means both astoundingly good and astoundingly stupid. If enough people try enough new things and there is some mechanism for dumb ideas to be eliminated (losing consistently in the case of athletics), better processes will develop and society will benefit. People will shake their heads or laugh at someone doing something silly with his own time and money, but they won't try to vote their congressman out of office because of it. But if it is the government's money being spent, they rightly think it's their money being wasted and the matter becomes political. Consider the way one blown gasket stopped the entire American space program for years. Coaches are sculptors. But their art is in not releasing images hidden in stone or molten bronze. The coach must shape a living, evolving work of art from muscle, mind and human spirit, capable of performing in unknown reaches. Coaches are, as Richard Wagner said of conductors, the co-creators of the music. The coach must never doubt the importance of this art. Mankind is served by every expansion of human potential. Progress is impossible without trying new ideas. But new ideas often don't work. And since large organizations do not permit failure, virtually all progress in sport results from the work of unknown coach/athlete teams. Future Olympic gold medals and world records will require new insight and new methods. The most successful will come from outrageous thinking and risk taking. To paraphrase Arthur C. Clarke's paraphrase of J. G. Ballard, future performances viewed from today's primitive technology will be indistinguishable from magic. Future generations of records will come from methods stranger than we can even imagine at this point. Every activity, including running, is amenable to thoughtful and careful planning. The time to begin the career management process is at the first sign of unusual talent and commitment to excel. Management is equally essential for established athletes. The first step in career planning is deciding, in clear and objective terms, what the goals are to be. Powerful statistical and mathematical techniques of predictive analysis are available which can assist the coach in establishing the right goals and the plan to reach them. It is only after the athlete and coach have established and committed themselves to specific short and long-term goals that the critical path to success can be effectively planned and monitored. Seasonal objectives, training methods, rest and regeneration cycles, lifestyle, nutrition, medical and psychological support, even the next workout, all rest ultimately on the accuracy of these goals. And of course upon the continued conviction and recommitment to the goals by the athlete/coach team. Lack of funding or facilities has never prevented the inventive and committed athlete/coach team from the exercise of genius. The modern athletic career has become first and foremost a management problem. This principle applies across all competitive environments and national boundaries. The old adage, "Plan your work, then work your plan," remains wise words. We would simply preface it with, "Choose the right goals." Athletics: How To Become A Champion, by Percy Wells Cerutty. Published by Stanley Paul, London 1960. 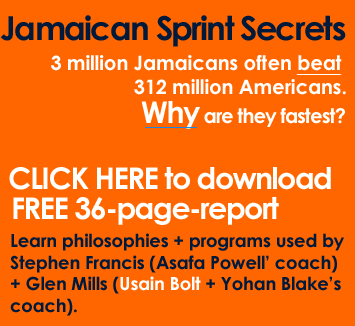 Coaching Track and Field, by William I. Bowerman. Published by Houghton Mifflin, Boston 1974. High-Performance Training For Track and Field, by William I. Bowerman and William H. Freeman. Published by Lei- sure Press Champaign, Illinois 1991. Training Distance Runners, by David E. Martin and Peter N. Coe. Published by Leisure Press, Champaign, Illinois 1991. Better Training For Distance Runners, by David E. Martin and Peter N. Coe. Published by Leisure Press, Champaign, Illinois 1997. Winning Running, by Peter N. Coe. The Crowood Press Ltd., Ramsbury, U.K. 1996. Track and Field For the Millennium, by Alphonse Iuilland. Montparnasse Publications, Stanford, California (In press- available summer 2000).